Be sure to get your orders in with us by Friday, September 2nd! 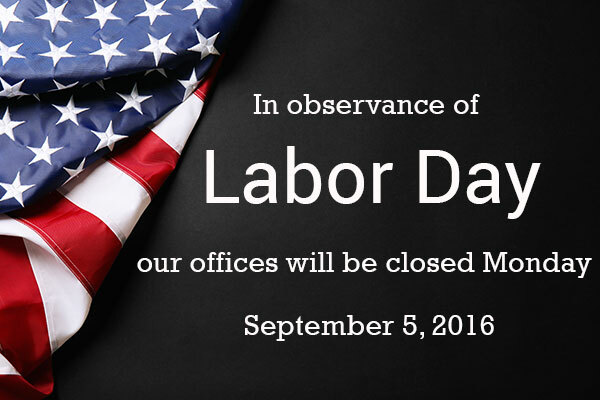 Have a very happy and safe Labor Day weekend. We look forward to working with you when we get back on Tuesday. As always, our 24 Hour Emergency Service is available throughout the weekend at 800-535-8032. See you next week!